At the height of the financial crisis, in February 2009, US authorities announced an innovative policy designed to restore confidence in the financial system: the Supervisory Capital Assessment Program, better known as the stress test. Taking their supervisory duties an unprecedented step further, regulators would reveal to the public detailed bank-by-bank results of a thorough inspection of balance sheets – outing weak banks as such and endorsing the strength of sound ones. With this information, it was hoped, investors would regain their willingness to invest in US financial institutions. And so it proved. Perhaps in recognition of this effectiveness, the Dodd-Frank Act – the most comprehensive overhaul of US banking legislation since the Great Depression, enacted five years ago this week – mandates a range of annual, publicly disclosed tests covering the majority of the US banking system. At about the same time US lawmakers started work on Dodd-Frank in 2009, European authorities were conducting their own stress tests, but the design and effectiveness of these tests stood in stark contrast to the US. Most importantly, individual bank results were not disclosed. The tests were widely disbelieved and delivered few or none of the benefits of the US stress tests. How can we explain European authorities’ failure to use stress tests effectively? And what are the broader lessons for government policy during a financial crisis? These are the questions we ask in our paper “Runs versus Lemons: Information Disclosure and Fiscal Capacity.” We think the answers are found in understanding the link between a government’s willingness to publicly disclose information about banks and its capacity to raise tax revenue to pay for its expenditures (its fiscal capacity). Economic theory provides powerful arguments in favor of information disclosure. The financial system is a vast and complex web of contracts ultimately linking those in need of financing with savers. Economists have come to understand that, in situations when one of the parties to such a contract has better information than the other, markets can break down due to what we call adverse selection. Our research builds on the seminal work of economist George Akerlof. 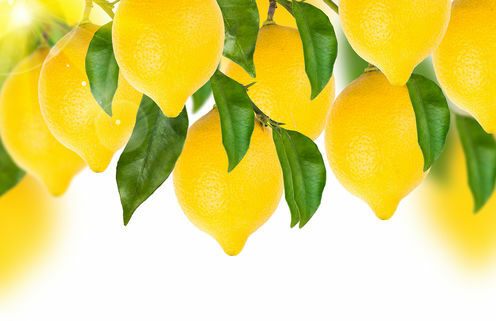 The “lemons” in our title is a reference to his celebrated article on adverse selection, in which he uses the market for used cars (a “lemon” is a defective car) as an example of how markets can function inefficiently when sellers are better informed about the quality of their goods than buyers. Imagine that there are strong and weak banks looking for financing. If an investor was able to tell them apart, she would demand a lower return to finance a strong bank because it is likelier to pay her back. What if only the bankers know whether their bank is strong or weak, and the investor has no way of finding out? In this case, she would demand a return that guarantees a profit irrespective of the strength of the bank to which she lends. If this return is too high for strong banks to find it worthwhile to borrow, these banks will choose not to seek funding – the safest banks will self-select out of the market (hence adverse selection). Recognizing that only weak banks are left in the market, investors will demand even higher returns, resulting in only weak banks being funded if any are funded at all. As a consequence, banks grant fewer loans and do so at high interest rates. If the government steps in to reveal which banks are strong and which ones are weak, order is restored: strong banks can borrow at low and weak ones at higher returns. Unfortunately, there are also drawbacks to disclosing information, which stem from the way banks raise funds to make loans. Banks therefore transform very short maturity deposits into longer maturity loans, which leaves them vulnerable to bank runs (as in our title). A run happens when many depositors demand their money back at the same time. If a bank is unable to call back loans quickly enough to meet these demands, it will eventually be unable to repay depositors and be forced into bankruptcy. Imagine again that there are strong and weak banks, and to begin with, depositors are unable to tell them apart. What if all depositors in a bank suddenly learn that their bank is weak? They will run to withdraw their money, causing the bank to fail. As we learned at great cost during the financial crisis, bank failures can be very expensive and have far-reaching consequences. Governments are therefore reluctant to risk causing them by announcing that some banks are frail. It would appear that any government deciding on how much information to produce and disclose has to choose between adverse selection and runs. However, governments can (and very much do) use their ability to spend today and tax tomorrow to prevent bank runs. If a stress test reveals banks to be weak, the government can promise to repay those banks’ deposits in full. As long as the government can afford to keep its promises, this deposit insurance convinces depositors in weak banks not to withdraw their money, saving the banks from bankruptcy. And again, the same argument applies to other types of insurance. For example, during the crisis, the US Department of the Treasury announced guarantees for investors in money market funds. In our work, we show that governments with deeper pockets are able to offer more comprehensive deposit insurance programs and are therefore more willing to undertake and disclose informative stress tests. In contrast, fiscally constrained governments cannot afford to guarantee as many deposits and will therefore not risk disclosing detailed information that could cause bank runs. This is our explanation for the contrasting experiences of US and European authorities. At the time of the crisis, there was no mechanism in place that would pass part of the bill for guaranteeing the deposits of a Spanish bank to a German taxpayer – the European Union lacked a common resolution mechanism for banks. In the US, on the other hand, the federal government can use taxes raised in New York to pay for spending in California. Supported by this much larger fiscal backstop, US authorities could afford to be much more transparent about the state of the banking system. Thomas Philippon is affiliated with the Centre for Economic Policy Research and the National Bureau of Economic Research. Joseba Martinez and Miguel Faria-e-Castro do not work for, consult, own shares in or receive funding from any company or organization that would benefit from this article, and has disclosed no relevant affiliations beyond the academic appointment above.